South Padre Island beaches ranked number two and Isla Blanca Park came up as number seven out of a list of 20 beach destinations across the state in a USA Today 10 Best list. SOUTH PADRE ISLAND — SPI beaches have some nearby company when it comes to being the best in Texas. The 34-mile sand bar many call paradise took up two spots on the top beaches in Texas by USA Today’s 10 Best lists. 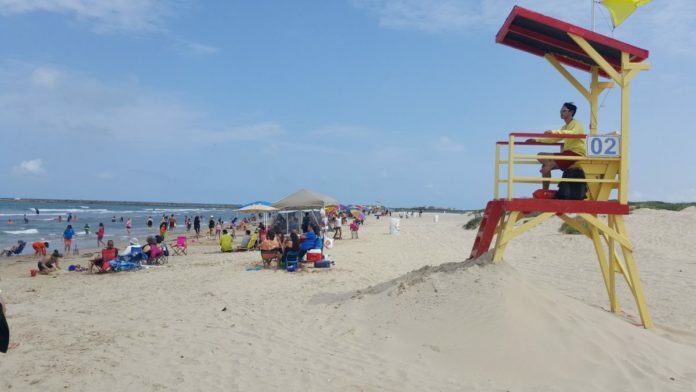 South Padre Island beaches ranked number two and Isla Blanca Park came up as number seven out of a list of 20 beach destinations across the state. She said this is wonderful recognition for the County and the Island. “The ranking show our hard work and investment to make the Island great is paying off,” Benavides said. USA TODAY’s 10 Best Reader’s Choice Award contest took place over four weeks, closing voting polls on March 28. Winners were announced late last week and were promoted across all USA TODAY media platforms. “We are honored to be near the very top of the USA TODAY’s 10 Best Reader’s Choice Award list for the Best Texas Beach,” said Keith Arnold, South Padre Island Convention and Visitors Bureau director. South Padre Island boasts miles of inviting beaches and ease of travel by air, land or sea that keeps visitors hooked to come back time and again for a quick getaway or vacation. The Island’s white sand, clear emerald water and abundant activity offerings secured the destination as a spot on this prestigious, reader’s choice list. USA Today has several lists that can be seen online as well as the best beaches in America categorized by state. The Island also offers more than 5,000 lodging options, and more than 40 local dining spots and entertainment venues. Some of the many family fun activities include swimming, snorkeling and exploring the barrier island, or kiteboarding lessons to catch a wave. Fishing enthusiasts come from all over the state to charter a boat, reel in a big fish, and then cook their catch at a local restaurant. Nature tourism enthusiasts can bird watch and explore along the boardwalk at the South Padre Island Birding and Nature Center. Lastly, visitors can complete their stay with an unforgettable experience of bay and beachside fireworks. “The beaches here are way better than Galveston, way better,” said Max Millis in an earlier interview about visiting South Padre Island. He said you can’t find boardwalks that go from the edge of a parking lot all the way to the beach like on South Padre Island. >> Best full service book store at Paragraphs on Padre Blvd.